Stay with Lieutenant Colonel Edward and Mrs Sharon Parks at Château de Beaulieu as our personal guests. 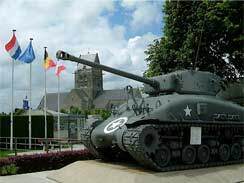 We can offer you excursions to the famous D-Day landing beaches and other historic sites in Normandy. During your stay with us you may wish to consider visiting some of the many historic sites of Normandy. We can provide, on request excursions to the D-Day beaches and the Norman realm of William the Conqueror. We provide complimentary transportation to and from Château de Beaulieu. 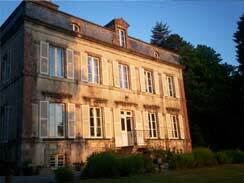 We offer you the opportunity to stay with us as our personal guests at Château de Beaulieu. We provide complimentary transport to and from your point of arrival in Normandy, ensuite accommodation in a 19th century château, all meals and refreshments in an all inclusive package.